I was lucky enough to snag a Motorola Droid X two days after they came out and after a few months of using it, I have to say, I'm very happy. In all fairness, my previous phone was an LG Env2. No touchscreen. No swiping. No data package. Lower phone bill. But I have to say, I was right to wait for it. I had read rumors of it on Engadget, Slash Gear, and Wired, but couldn't even get the Verizon store guys to answer the big question: when was it coming out. 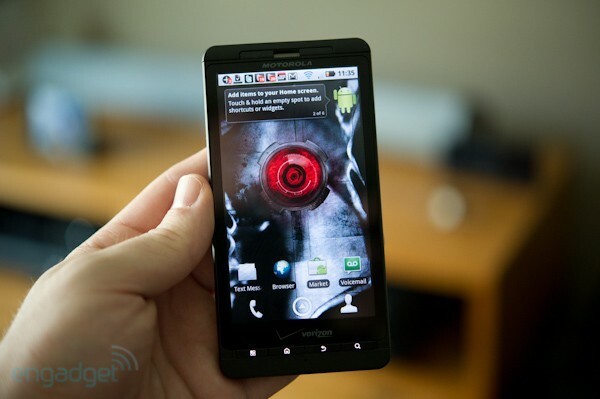 My first impression is that the Android OS is very intuitive and easy to learn. Proof of this is the fact that the wife picked it up from day one. There is definitely a passionate crowd of developers producing great apps for the Android Market. I have yet to pay for one, but a few have caught my eye with awesome demos. My one gripe has since been somewhat helped by the release of Android 2.2 (Froyo) OS. That was weak battery life. But the upgraded firmware has greatly improved battery performance and even added a few tools to help manage the battery life better. Still, with a 4.3" hi-res screen, it's bound to eat up battery. All in all, I am very pleased with the performance, utility, and speed of the phone.